Locum tenens wasn’t as widely known in 1982, but neuro-hospitalist Dr. Andrew Wilner found himself working locums following a demanding residency program. During his time as a resident, he was forced to put his creative writing career on hold since he was essentially working seven days a week. “I decided I was going to undermine my performance as an intern by taking time out to do my writing,” he says. Following internship, Dr. Wilner decided to take a year off to regroup and pick up where he left off with writing. And it was during this sabbatical that he chanced upon locum tenens work. During his time working locum tenens in the 1980s, Dr. Wilner soon discovered he was most interested in the patients presenting with neurological symptoms. He would always observe the consultation and work-up of the on-call neurologist when they’d come in to help diagnose the patient. Once he knew he wanted to focus on epilepsy as a subspecialty, he helped establish a facility which specialized in epilepsy disorders. After eight years, he found his career path evolving into one of a medical journalist and keynote speaker. It was at this point that Dr. Wilner returned to practicing medicine by becoming a medical volunteer in the Philippines, where he became the medical director of a private practice group whose focus was medical missionary work — and where he met his wife. After a year of one week at the hospital, then writing for medical journals on his off week, his schedule became untenable. He didn’t want to give up his writing, but without a change he was facing burnout. That’s when locum tenens entered his life again, and it turned out to be the perfect solution. By switching to locums work, Dr. Wilner was able to continue his medical mission work in the Philippines. He could dictate his own schedule, which meant he could make his home in the Philippines and work assignments stateside in a six-months on, six-months off rotation. He was also finally able to pursue all of his life’s passions. Not only could he realize his dreams outside of academia, but locums allowed him the time to write a total of four books: Bullets and Brains, Epilepsy: 199 Answers, 3rd Edition, Epilepsy in Clinical Practice, and in 2018, he published The Locum Life, an insider’s guide to locum tenens. When Dr. Wilner chose to return to permanent employment, the knowledge that he could return to locums work at any time gave him the confidence to negotiate the pay and schedule he wanted. “I was sent an offer with a salary nowhere near what I wanted, so I told them I wouldn’t consider it,” he recalls. “The beauty of it was locums gave me the security to walk away from the deal — I’d have never been able to do that prior to working locums. Once he’d established his expectations for his desired pay and schedule, the facility came back with an offer that had the pay he wanted and an ideal schedule that would allow him to continue to pursue his first love: writing. Dr. Wilner is proof that dreams can come true. 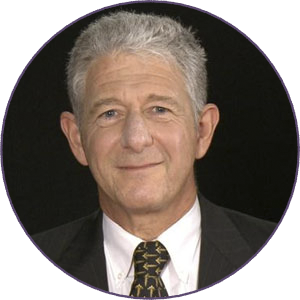 You can learn more about Dr. Wilner’s career at www.andrewwilner.com.